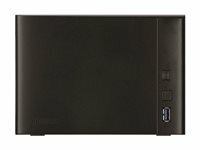 Users will be impressed with the TS1400D for its business-class feature set and capacities. 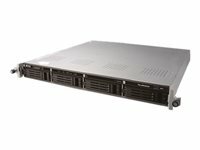 The TS1400D is ready for intensive data storage tasks: users can choose from multiple levels of RAID support (0/1/5/6/10/JBOD) for customized capacity and redundancy according to their specific needs. 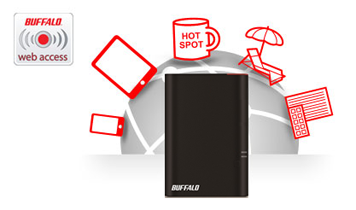 Buffalo NAS are easy-to-use plug-and play solutions that save valuable time and effort. Unpopulated NAS require hard drive installation, RAID configuration and a parity check – the latter two take as long as 10 hours per TB of storage space. Buffalo’s populated NAS are ready within just a few minutes – requiring only that you remove it from the box, connect to the power supply and your network, and, simply, press ‘power’. Buffalo NAS come fully populated with specially-chosen and factory-confirmed HDD. Spare yourself the hassle of choosing the best compatible hard drives for your NAS and configuring the RAID system. 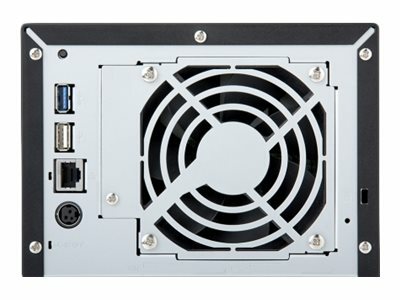 Get everything out of one hand and rest assured that your enclosure and its HDDs are a perfect fit. Buying from one source also means that you only have to deal with one manufacturer in case of a defect – no matter source of the problem. 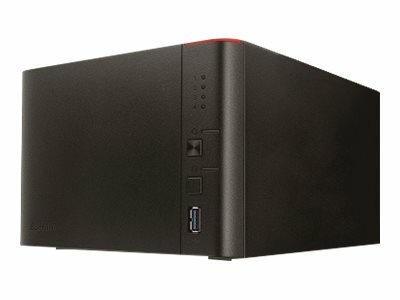 Buffalo NAS also offer a great priceperformance ratio right from the start. Time is money – so spending less time and manpower on set-up and management of the NAS will save you time and labor cost. A closed system is a safe system: Buffalo NAS don’t allow the installation of 3rd party apps which could otherwise pose substantial security threats. 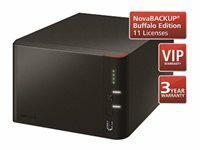 Buffalo NAS focus on features that small and medium companies (and private users) really need. Simplicity means higher usability at lower cost. 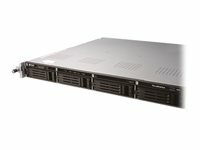 Combining simplicity with powerful hardware provides cost-effective solutions. 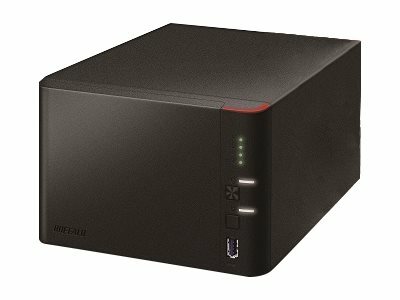 Buffalo offers a wide range of NAS solutions fitted to the needs and budgets of companies from a home office to an enterprise with larger branch networks. Buffalo TeraStations come with a 3-year VIP Warranty including the replacement of defective hard drives within 24 hours. Buffalo also offers free UPS drop-off service for all products under warranty. And for those who need even extra peace-of-mind – warranty extensions add one or two extra years’ full protection.